A pager (sometimes called a beeper) is a simple personal telecommunications device for short messages. A one-way numeric pager can only receive a message consisting of a few digits, typically a phone number that the user is then expected to call. Alphanumeric pagers are available, as well as two-way pagers that have the ability to send and receive email , numeric pages, and SMS messages. 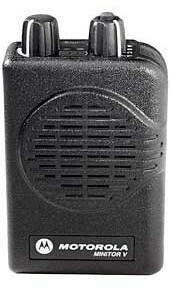 Radio Paging Systems are generally for emergency service personnel, medical personnel, and information technology support staff.